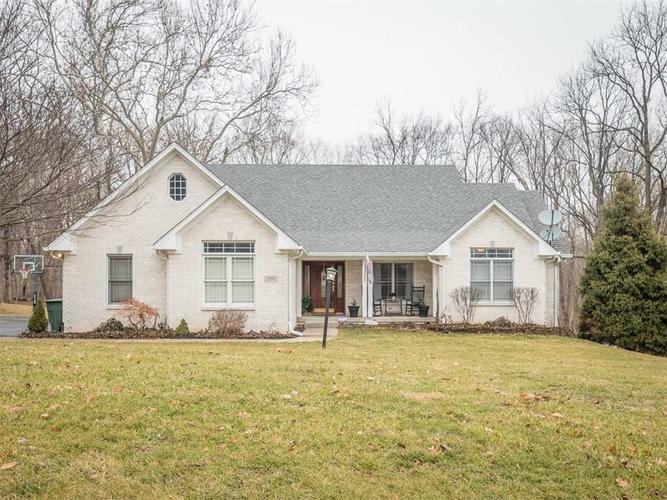 Absolutely stunning full brick custom ranch with full basement, sitting on 3/4 of an acre of property in a beautiful, rolling, wooded setting in the country! No expense has been spared with this 4 bedroom home including: granite countertops, 30" Jenn-air commercial range and oversized fridge, stainless dishwasher, sky-high ceilings, new carpet in areas, update lighting package, finished basement w/ 9' ceilings, media room, wet bar w/ fridge and sink, new water heater, water softener, new HVAC in 2018 (propane), crown moulding and an in-ground 13x30' pool (goes from 3' to 5') w/ a heater. Custom land/hardscaping for entertaining guests out back and a picturesque view all while being close to SR37! Upstairs also has an unfinished area. Directions:Mann Rd south to Hadley Rd. Or SR 67 to Hadley then east to property.